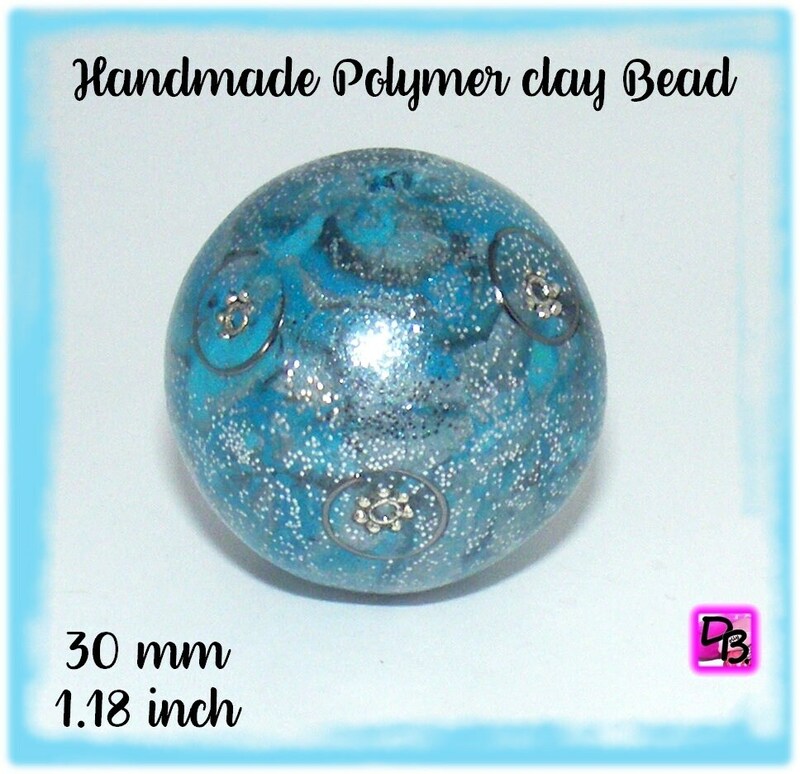 Unique handmade fimo brand polymer clay made Kashmiri bead. 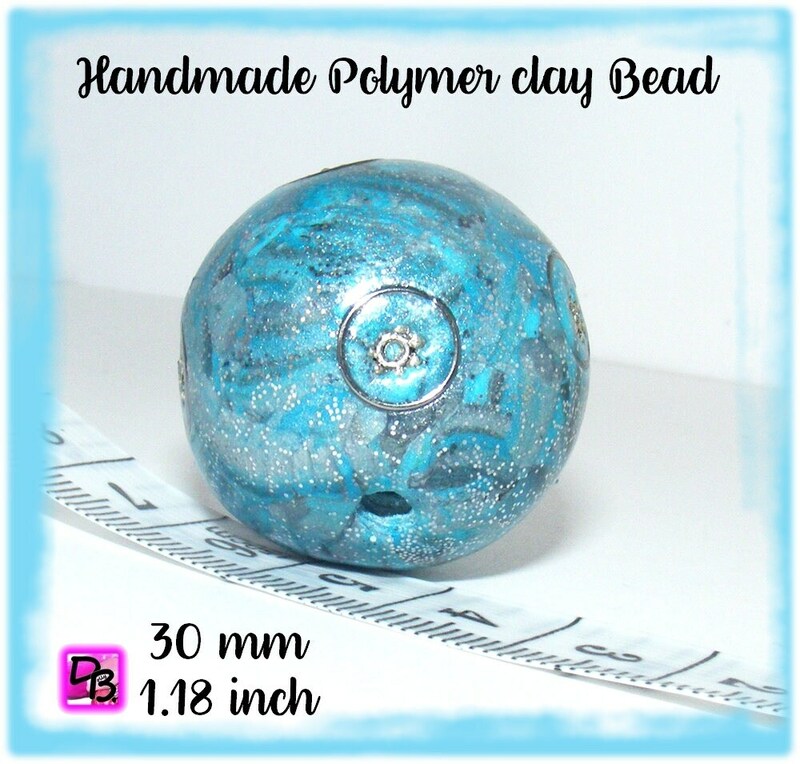 This two-tone Pearl green Teal and silver decorated with metal beads will be perfect for a DIY creation unique type necklace. Feel free to contact me if you want pearls unique to your tastes. 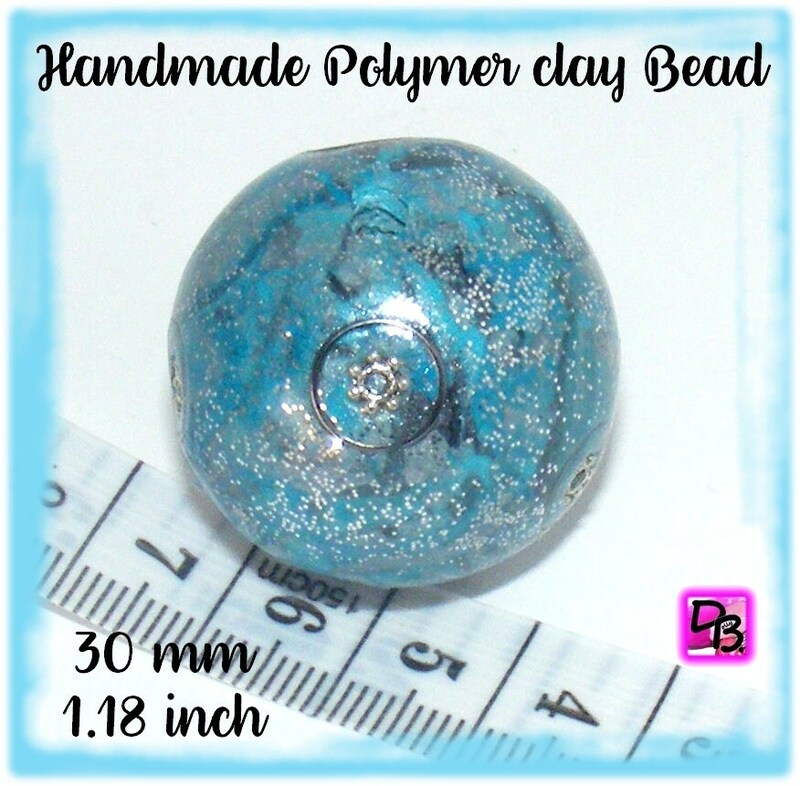 This bead has a varnished finish. Ready to be mounted. If you want a bigger hole to mount the Pearl on a ring or a cord, tell me and I'll change the drill.